Ciao, amici! Happy Friday! This week sure flew by. I hope you have a restful weekend planned. I’m still playing catch-up, and I have some personal business to attend to, so that’s not in the cards for me. I’ll just have to live (or relax) vicariously through you. This week’s quote comes courtesy of John Steinbeck. and pretty soon you have a dozen. Now, if I can just finish writing this novel without adding more details! Has that ever happened to you? You start with a plan, but then part way through, new ideas take over and the work takes off? I’d love to hear about it. I have to apologize here. Did you ever check and recheck something and know you were forgetting something important but not be able to figure out what that was? That was the case last week. I forgot to include C. S. Boyack’s tour stop on my site. (my deepest apologies, Craig.) I’m including it now. If you missed it, you’ll want to check it out. Release of C. S. Boyack’s VOYAGE OF THE LANTERNFISH. Drumroll, please… Cover and Title Reveal Inside! These are great links Staci, I’ve bookmarked your page so I can explore them when I’m caught up. 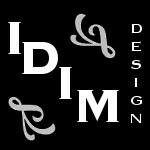 Well, I’m starting to get antsy and want to try my hand at self publishing. The first thing I need to learn is where to begin and when to ask for advice. My latest WP has warped into areas never expected. New plot threads sprouted all over the place. That’s both exhilarating and frightening, as I struggle to make everything fit together, I think it is the bane of writers.We love when it happens, but at the same time we have to scramble to adjust to the changes. It’s. love-hate relationship. As creative types, we need to realize we will never be able to herd story ideas into a neat pen, LOL. Happy writing, Staci! Exhilarating and frightening. You nailed it, Mae. I can’t wait to see how you herded all your ideas into the pen. And I have every confidence that it will be neatly done. I love you pasture analogy. It’s quite apt. And vivid. My boss is all about what’s best for the writer. I can’t complain about that! Absolutely! With each new book I hit a place where the words just flow. Before that, even with an outline, it’s a grueling process, the mind too busy thinking of other directions the story might go. I just passed that point, too, in my WIP. Yay! Write on! Ah… it’s always a great feeling to get over the hump. Happy for you. 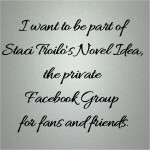 Staci, I like your way of writing and how you continue to embrace all your new ideas and see where they take you. Of course, they can hamper the completion of the novel, but letting them have a free reign can often lead to surprises! Happy weeeknd and writing. Many thanks for sharing all the excellent links and huge congratulations to Mae! Thanks, Annika. I do try to keep an open mind, but I also know what works for me (a basic outline). The company I work for uses beats, which to my way of thinking is a more elaborate outline, and honestly, I found it a bit restrictive. Then my boss told me I didn’t have to stick to the beats and could go off in different directions, provided I got back to the main thread (which is exactly how I write for myself), and then I was off to the races. I doubt I’ll ever follow an outline exactly, but I do need that roadmap. How sad would it be to miss those happy surprises if we followed our plan rigidly? NIce job with the links, Staci. Thank you. Have a great weekend. Thanks, John. Wishing you a great weekend, too. Ideas in the shower are the worst. I’m always afraid I’ll forget them, and I’m not about to scrawl on my shower door in soap. I wonder if there’s a waterproof notepad out there yet? If I was technically-savvy, I’d invent one! Great idea. You know me. My outline is extremely basic. I do get plenty of ideas, some good, some that seemed to be good until tried fleshing them out. I love a detour. It makes life interesting. I always have a great time with my daughter. I wish she didn’t go to school so far away. Glad you’re liking the pics. I should start posting recipes. As for your plotlines, I wouldn’t worry about it. Your work is tight with your own method. I say stick with what works. No reason for doubt in your case. You rock! That’s a great quote and crazy when it happens! Yes, stories always take on a life of their own surprising me and my outline. Yet I always start off with that outline. Have a great weekend Staci. I can’t write without an outline, either. But I’m often pleased with my detours. I definitely was this time! You know all about my storyboard methods. It includes the key points, but I can flow between the markers. All of my stories have the kind of deviations you mentioned, as long as I work back to my next index card it seems to work. As an example: My pirates needed to get cannon to outfit their ship. Didn’t matter where. This led them to Serang’s country, and a neat exploration of that culture. I love your process. And it’s clearly working for you. Is it appropriate to write “I I I I” here? I really want to. Oh, look. I did! Ha ha. Anytime. During my commute, I’ve been coming up with new scenes for root monsters, names too. I may have to start a storyboard for a sequel. Oh, I hope you do. I love those little guys. Definitely rates the I I I I. I love those little guys. Happens to me all the time. I always start with a basic outline, but then new details that add to character depth, plot, etc. always turn up. Usually they enhance the story. Just had an idea last night, and I’ll be incorporating it into the backstory later today. That’s great news, Teri. I’m glad your surprises make the story better and don’t take you down rabbit holes. I can’t write without an outline. I’d just keep adding and adding and adding. But that’s one of the things I love about the writing community… everyone has different methods and voices and ideas and yet we all manage to get to the same place in the end—a finished story. Thanks for including my posts, Staci. Check out these helpful writing links from Staci Troilo’s blog. Once again, I’m honored that a couple of my posts made the cut. Isn’t it funny how we all do things differently? I’d probably be in tears if I tried to write a novel without an outline. Short stories, sure. But nothing long.